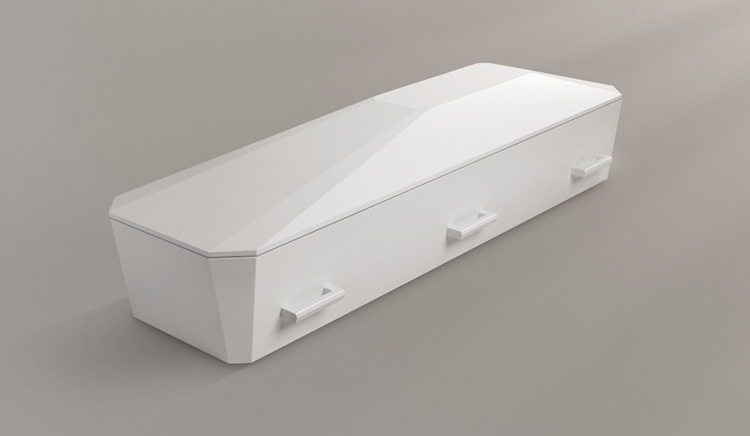 A Danish funeral firms sets out to turn the after-death market on its head with its striking minimalist coffins and cremation urns. Why can’t the tired but true funerary market add a bit of pizzaz to its product mix as well? Following the in-vogue sustainability craze, they are made from less-than-precious plywood, so one won’t generated additional bad karma with virgin hardwood guilt in the afterlife.